The Simpsons is one of the most well known television shows in the world, and Homer is undoubtedly the most popular character from the series. It's little wonder the Homer Simpson coma theory Redditor Hardtopickaname came up with became such a hit among fan theorists. The theory suggests Homer Simpson has been in a coma for years, and there's significant evidence to back up the sensational claim. If you ever find yourself wondering "Is Homer Simpson in a coma? ", you've come to the right place. The fan theory about Homer Simpson stems from Season 4 Episode 18 of The Simpsons, “So It's Come to This: A Simpsons Clip Show”, in which Homer is hospitalized after an April Fool’s joke by Bart paralyzes him. He falls into a coma, after being crushed by a candy machine. The idea presented by this theory is, he never woke from this vegetative state. Instead, all The Simpsons episodes from that moment on are the imaginative dreams of the coma ridden character. "Homer the Heretic" aired on October 8, 1992. "So It's Come to This: A Simpsons Clip Show" aired on April 1, 1993, almost exactly six moths later. While death isn't the same thing as a coma, both signal the end of a normal life, and, for the consciousnesses victim, entering another plane of existence. Though the characters on The Simpsons don't age, it's clear time passes. Real world events happen as you'd expect, and culture shifts as it does in the parallel real world. There's one small caveat here - Homer does age. In Season 1, he's 36. 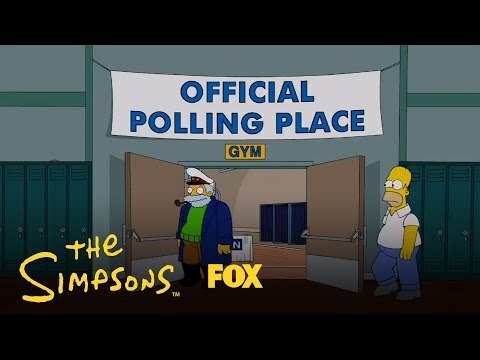 In the “Homer Votes 2012” short, he's 40. Other episodes put his age at 38 and 39. According to Hardtopickaname, Homer slowly aging makes sense if he's in a coma that allows his mind to run free (as opposed to a brain dead coma). In such a state, he would be aware of his own time passing, but would want to remember everyone else he knows as they were, especially his children, whom he might not want to see grow up. As is common in a cartoon series, the characters from The Simpsons never appear to age. This is especially true of Homer, Marge, and their children. While this wasn't much of an issue in the first few seasons, all of which could easily have taken place in the same year, it becomes increasingly odd each time the show enters a new decade of life. 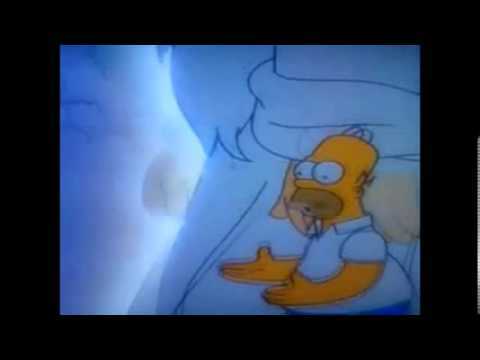 If Homer is in a coma and entire show, from the final third of Season 4 on, takes place in his head, the family being frozen in time makes total sense. The surreal moments that have driven The Simpsons into increasingly bizarre planes of existence might well be the ever-more dreamlike imagings of someone completely losing touch with reality. Homer in a coma, for instance. The theory explains why the tone has moved so dramatically since Season Four; all new stories are Homer’s thoughts while he is in a coma.